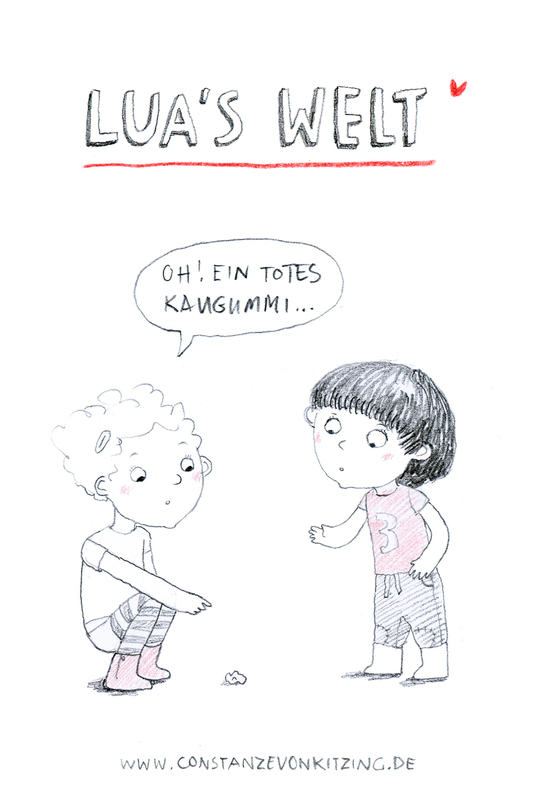 #luaswelt Lua: "You're my granddad and I'm your daughter." Granddad (Opa Ebi): "No, I'm your granddad any you're my granddaughter." Lua: "Yes, I'm your's and you are mine!" Hier der erste Gastbeitrag von Jessica Peterka-Bonetta und Johann! The first guest-cartoon, sponsored by Jessica Peterka-Bonetta and her son Johann! "Mom, you are dresses so beautifully naked today!" When a car approaches on the street, I need to hurry or I will be flat! I'm healthy, you can kiss me! MOM, COME! 1, 2, 3, 4, 5, 6, 7, 8, 9, 10 and the very las number is three!